Frunchroom has started their dinner hours and discontinued their breakfast services during the week. Lunch is served until 3pm, chalkboards (cheese, charcuterie, fish) are served from 3-5pm, and dinner is served from 5pm to close. GET $1 OFF A REGULAR MR. SUB! Head over to Mr. Sub to save a little money. Mention the Six Corners Newsletter and get $1 off a delicious regular Mr. Sub. HOW DOES AN AFTERNOON TEA AT FANNIES SOUND? Join Fannie's every saturday for afternoon tea at 3pm accompanied by a delightful spread of homemade sandwiches and pastries. This event requires a reservation and it is usually $24 Per-person but you will get 15% off if you mention the Six Corners Association. Call 708-320-2294 or email info@fanniescafe.com to make a reservation. For Fannie's website click here. -MCM Pub is a local Portage Park pub with tasty burger, pizza, and craft beer. Every Thursday night at 7pm. The prizes are a $20 Gift Card for 1st place, $10 Gift Card for 2nd place, good towards a future visit for food only. -Come in May 11th for the Cross Town Classic Jersey Raffle. This is held during the Cubs vs Sox games and each day you'll have a chance to win a Jersey. With the purchase of each Alcoholic Beverage, Beer and Food item, you will receive a raffle ticket for a chance to win a Jersey. Participants Must be in the bar before the 2nd inning. Drawing is at the end of the game. - Bingo Night at MCM Pub starts May 21st at 7pm. Stay tuned on the Six Corners Association blog, event page, Facebook, and consumer newsletter for more information. To visit MCM Pub's website click here. MCM Pub has a large craft beer selection, a traditional and upbeat pub atmosphere, and great food. Come check out their vast menu and happy hour specials. They have happy hour specials Sunday through Friday from 4 pm to 7 pm. MCM Pub will also be starting their trivia nights on April 19th! This week MCM Pub will have happy hour specials Monday through Friday from 4 to 7 pm. After this week happy hour will be from Sunday through Thursday from 4 to 7. Come into the pub to experience specials on shots, great American food, and some of the best beer in the world. MCM Pub will also be starting their trivia nights April 12. After that, trivia night will be every Thursday! When the first pizza was born few knew that it would become one of the most famous foods in the world. While Domino's did not invent the pizza they are well known as one of the heaviest hitters maintaining the famous flatbread's dominance on the earth. Domino's at Six Corners has just opened and is ready to serve you pizza and all things that revolve around pizza. One perfect and classic combination would be a pepperoni and green pepper cheese pizza, with a side of buffalo wings, and washed down with a refreshing root beer. 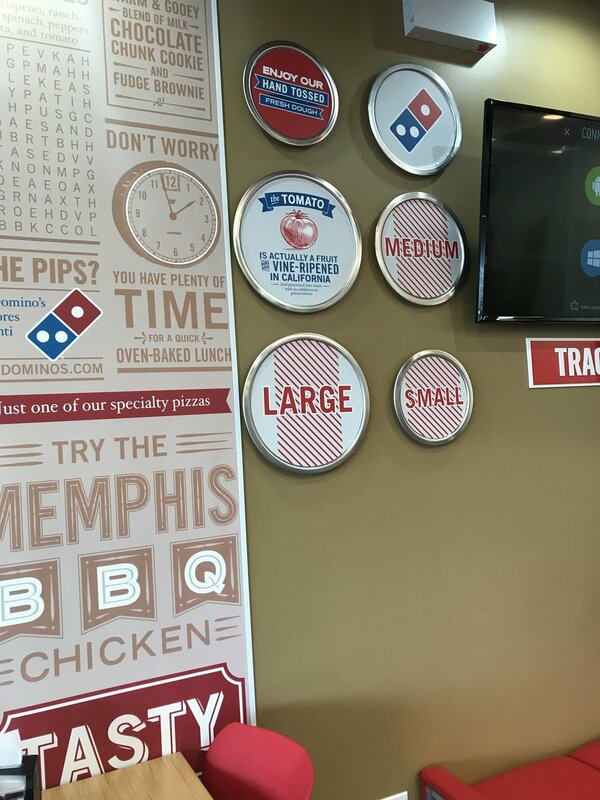 So if you're hungry now and want good pizza, visit store #2815 by clicking here.